The Earthchild Project is a Non-Profit Organisation operating in the Western Cape, South Africa who offer complimentary education to under-resourced schools with a focus on the environment, health and self-development. Their approach to education is holistic, focused on health and wellness, lifeskills and the environment through different programmes integrated with the schools curriculum. They do this mainly through yoga and meditation, and organic gardening and environmental education. After traveling and working on an eco village in South America for one year, Janna Kretzmar arrived back in Cape Town at the beginning of 2006 with her heart set on one thing – to find a way to transform our schools. She began volunteering at a Primary School, setting up an organic vegetable garden and running guided meditations with the children. Health and Wellness was added to the mix because it seemed futile to teach children to reconnect with nature and with spirit if they were not taking care of their bodies as well. During the year Janna came into contact with many NGOs and volunteers who were doing amazing work in schools. However, she observed that once they left, the projects they had initiated were seldom maintained. Teachers just did not have the time or energy to sustain these extra initiatives. It was these observations that inspired Janna to create the model which later developed into the Earthchild Project. The initial model was to place a full time facilitator in a school whose role it would be to introduce and maintain holistic education. These initiatives would be complimented by the involvement of partnering organizations who were already experts in their particular areas. From there the project snowballed and within two months there three facilitators, three schools, three donors and six partnering NGOs. And so it was that the Earthchild Project was born. 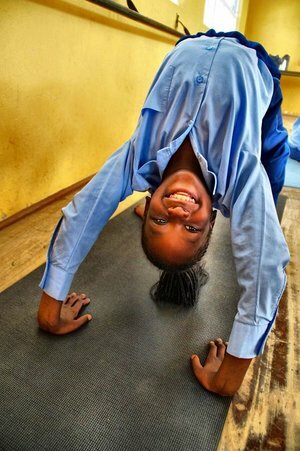 In line with our aim of equipping children with practical life-skills, yoga is an important part of our programme. Yoga works on all aspects of a person: physical, mental and emotional. When practised regularly it creates more flexibility, strength, coordination and self-awareness; reduces stress and improves concentration; creates calmness and an increased sense of peace and connection to self. 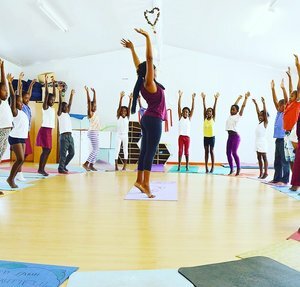 The Earthchild Facilitators, as well as several dedicated volunteer yoga teachers, run weekly classes after school. 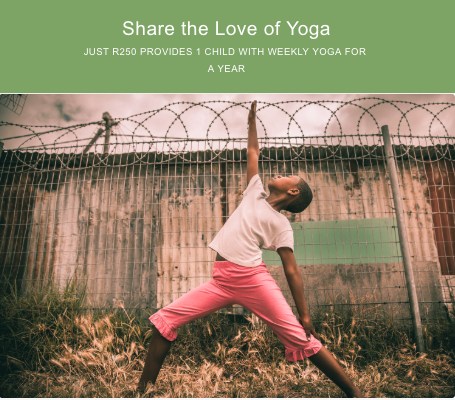 We have many dedicated little yogis who not only come to their weekly classes but even do their own daily practice of postures, breathing exercises and meditation.